Keller, Katy A. “Geochemistry Of Streams, Soils, And Permafrost And The Geochemical Effects Of Climate Change In A Continuous Permafrost Region, Arctic Alaska, Usa”. University of Michigan, 2006. http://hdl.handle.net/2027.42/79034 . Williams, Mathew W, L. E Street, M. T van Wijk, and Gaius R Shaver. “Identifying Differences In Carbon Exchange Among Arctic Ecosystem Types”. Ecosystems 9, no. 2. Ecosystems (2006): 288-304. doi:10.1007/s10021-005-0146-y. Clemmensen, K. E, A. Michelsen, Sven Jonasson, and Gaius R Shaver. “Increased Ectomycorrhizal Fungal Abundance After Long-Term Fertilization And Warming Of Two Arctic Tundra Ecosystems”. New Phytologist 171, no. 2. New Phytologist (2006): 391-404. doi:10.1111/j.1469-8137.2006.01778.x. Phillips, D. A, T. C Fox, H. Ferris, and John C Moore. “Increases In Atmospheric [Co2] And The Soil Food Web”. In Managed Ecosystems And Co2, 187:413-428. Managed Ecosystems And Co2. Springer Berlin Heidelberg, 2006. doi:10.1007/3-540-31237-4_23. MacKinnon, P. “Landscape Effects On Growth Of Age-0 Arctic Grayling In Tundra Streams”. Utah State University, 2006. Burris, Melinda E. “The Life History, Morphological, And Behavioral Changes Of Two Arctic Daphnids To Kairomone From The Invertebrate Predator Heterocope Septentrionalis”. University of North Carolina, 2006. Hobbie, John E, and Erik A Hobbie. “N-15 In Symbiotic Fungi And Plants Estimates Nitrogen And Carbon Flux Rates In Arctic Tundra”. Ecology 87, no. 4. Ecology (2006): 816-822. doi:10.1890/0012-9658(2006)87%5B816:Nisfap%5D2.0.Co;2. Gough, Laura. “Neighbor Effects On Germination, Survival And Growth In Two Arctic Tundra Plant Communities”. Ecography 29. Ecography (2006): 44-56. doi:10.1111/j.2005.0906-7590.04096.x. Hobara, S., C. McCalley, Keisuke Koba, Anne E Giblin, M. Weiss, Gretchen M Gettel, and Gaius R Shaver. “Nitrogen Fixation In Surface Soils And Vegetation In An Arctic Tundra Watershed: A Key Source Of Atmospheric Nitrogen”. Arctic, Antarctic And Alpine Research 38, no. 3. Arctic, Antarctic And Alpine Research (2006): 363-372. doi:10.1657/1523-0430(2006)38%5B363:Nfissa%5D2.0.Co;2. McClelland, James W, Stephen J Déry, Bruce J Peterson, Robert M Holmes, and Eric F Wood. “A Pan-Arctic Evaluation Of Changes In River Discharge During The Latter Half Of The 20Th Century”. Geophysical Research Letters 33, no. 6. Geophysical Research Letters (2006): L06715. doi:10.1029/2006GL025753. Hammerschmidt, Chad R, and William F Fitzgerald. “Photodecomposition Of Methylmercury In An Arctic Alaskan Lake”. Environmental Science And Technology 40, no. 4. Environmental Science And Technology (2006): 1212-1216. doi:10.1021/es0513234. Cappelletti, Carl. “Photosynthesis And Respiration In An Arctic Tundra River: Modification And Application Of The Whole-Stream Metabolism Method And The Influence Of Physical, Biological And Chemical Variables”. University of Vermont, 2006. MacIntyre, Sally, J. O Sickman, S. A Goldthwait, and George W Kling. “Physical Pathways Of Nutrient Supply In A Small, Ultra-Oligotrophic Lake During Summer Stratification”. Limnology And Oceanography 51, no. 2. Limnology And Oceanography (2006): 1107-1124. doi:10.4319/lo.2006.51.2.1107. Walker, Marilyn D, Henrik C. Wahren, Robert D Hollister, Gregory HR Henry, Lorraine E Ahlquist, Juha M Alatalo, Syndonia M Bret-Harte, et al.. “Plant Community Responses To Experimental Warming Across The Tundra Biome”. Proceedings Of The National Academy Of Sciences 103, no. 5. Proceedings Of The National Academy Of Sciences (2006): 1342-1346. doi:10.1073/pnas.0503198103. Brosten, Troy R, John H Bradford, James P McNamara, J. P Zarnetske, Michael N Gooseff, and William B Bowden. “Profiles Of Temporal Thaw Depth Beneath Two Arctic Stream Types Using Ground-Penetrating Radar”. Permafrost And Periglacial Processes 17, no. 4. Permafrost And Periglacial Processes (2006): 341-355. doi:10.1002/ppp.566. Gettel, Gretchen M. “Rates, Importance, And Controls Of Nitrogen Fixation In Oligotrophic Arctic Lakes, Toolik, Alaska”. Cornell University, 2006. https://hdl.handle.net/1813/3422. F Stuart Chapin III, G. M Woodwell, J. T Randerson, Edward B Rastetter, Gary M Lovett, D. D Baldocchi, D. A Clark, J. D Aber, et al.. “Reconciling Carbon-Cycle Concepts, Terminology, And Methods”. Ecosystems 9, no. 7. Ecosystems (2006): 1041-1050. doi:10.1007/s10021-005-0105-7. Wollheim, W. M, C. J Vorosmarty, Bruce J Peterson, S. P Seitzinger, and C. S Hopkinson. “Relationship Between River Size And Nutrient Removal”. Geophysical Research Letters 33, no. 6. Geophysical Research Letters (2006): L06410. doi:10.1029/2006GL025845. M Bret-Harte, Syndonia, and Brian M Barnes. 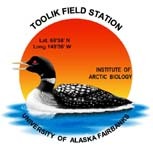 “Science Support At The Toolik Field Station, Alaska: Directions For The Next 10 Years”. In American Geophysical Union, Fall Meeting 2006, 39 pp. American Geophysical Union, Fall Meeting 2006. San Francisco, CA: Institute of Arctic Biology, University of Alaska Fairbanks, 2006. http://www.uaf.edu/toolik/.